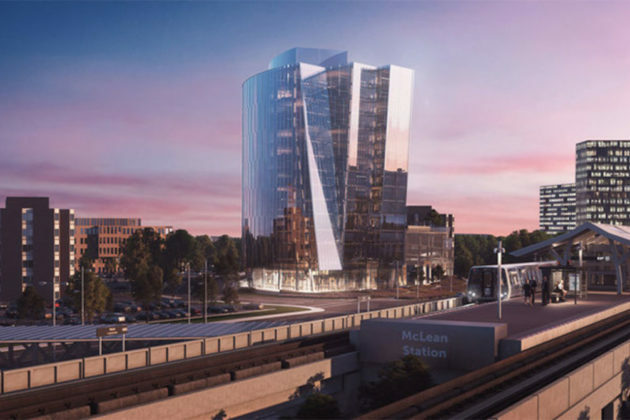 There are plans in the works for nearly every corner of Tysons East, and a distinctive curved glass building called “One Tysons East” is planned for a corner of Route 123 near the McLean Metro station. 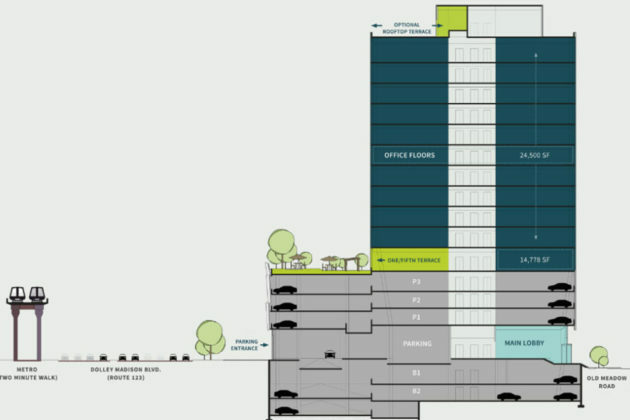 The applicant, Akridge, proposes a single office tower on the property with ground floor retail accessible to pedestrians. 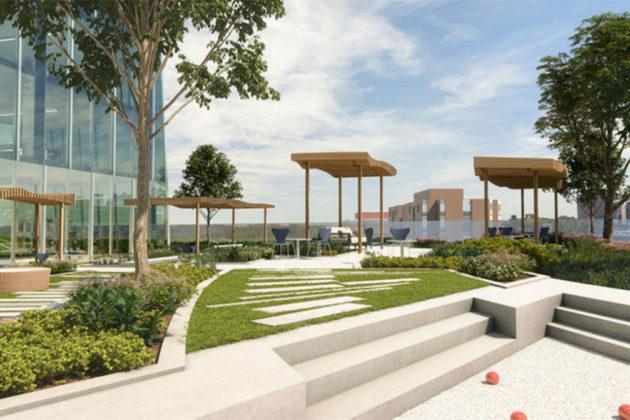 The building designs show that it would be accessible from every frontage. 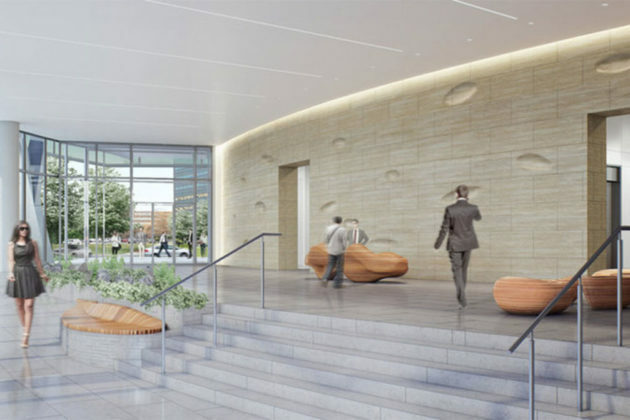 Encouraging bicycle transit is a key part of the development proposal as well, with a bicycle storage room and changing rooms included in the design. 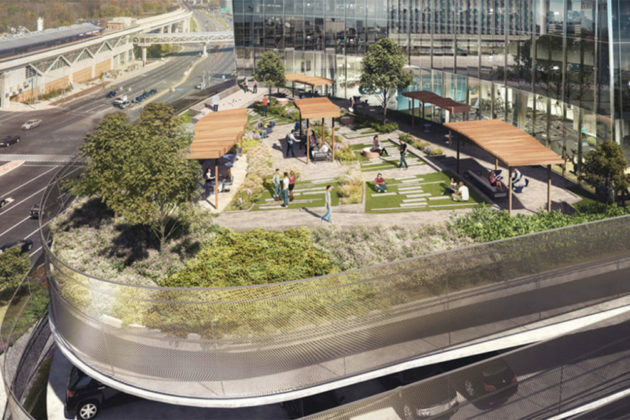 One Tysons East would include 250,000 square feet of office and 12,000 square feet of retail. The property is currently a two-story brick building constructed in 1977, formerly a GEICO training facility, which will be demolished as part of the construction. The building has been in the works since at least late 2015, when Akridge acquired the brick building. 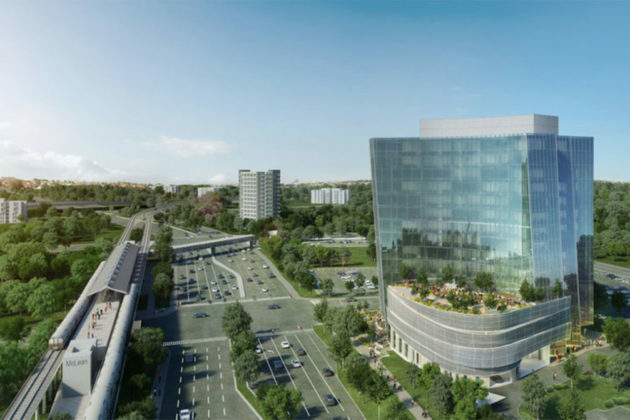 According to the Fairfax County government website, the development is still under review by county staff.